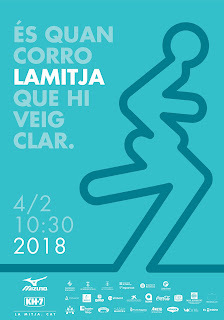 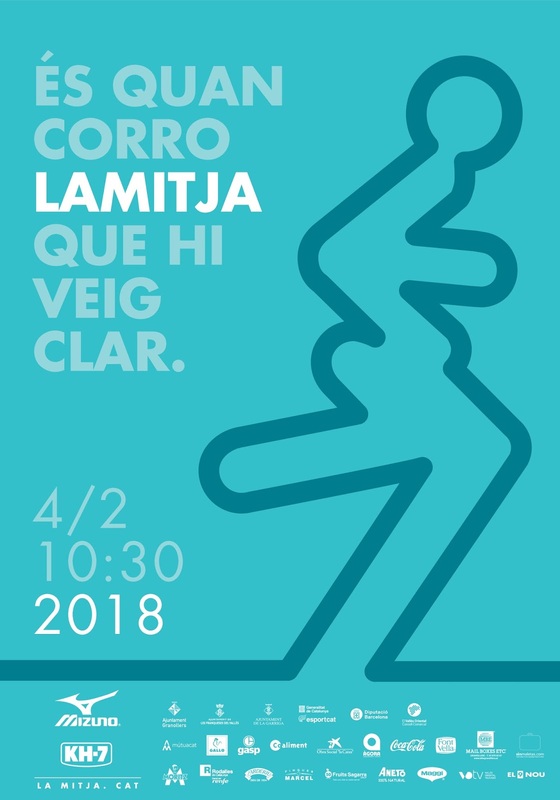 4th of February an interesting Granollers Half Marathon with a strong Kenyan men elite filed. At starting line there will be Matthew Kisorio from Kenya, the man to beat, with his 58:46 as PR and winner of the race last year; with him others Kenyan athletes like Abraham Kitum 59:36 in 2016 and 2:05:26 in marathon last year, Titus Kipchumba Mbishei 59:55 2nd place at world junior XC Championship in 2009, Pius Maiyo Kirop 59:25 in 2012 and 2nd place in world halfmarathon championship in the same year, Paul Mutero Kuira 60:08 last year, Alexander Mutiso Munyao 60:57 and from Ethiopia Asefa Tefera 61:50. 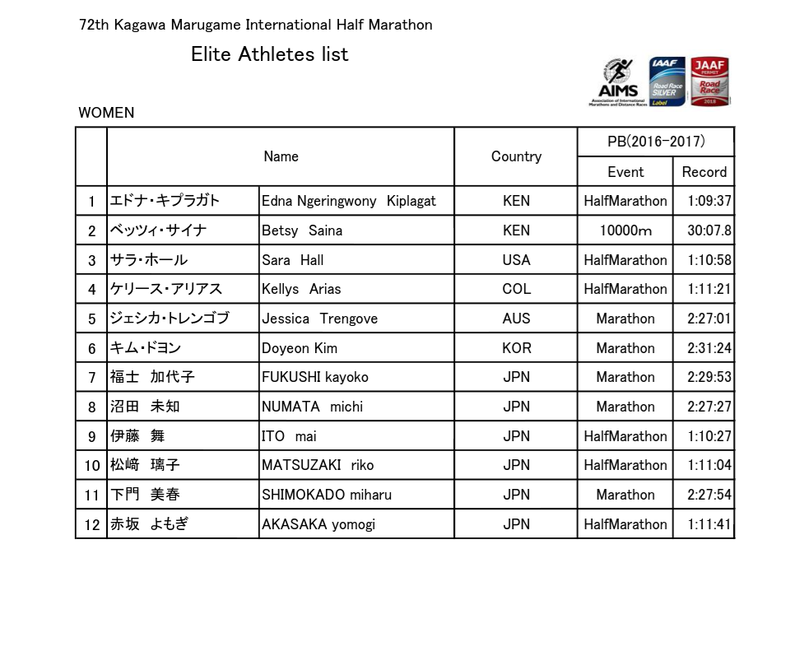 Mercy Kipchumba will take part the women race where she will try to improve her recent PR of 68:04. 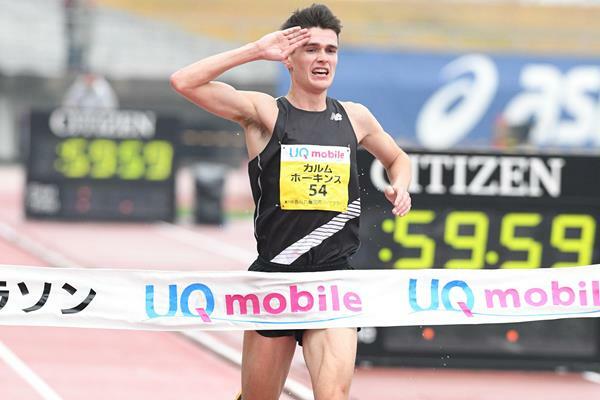 One of the Japan’s deepest races of alltimes, in 2012 was made the world record for the most men under 64minutes in a single half marathon. 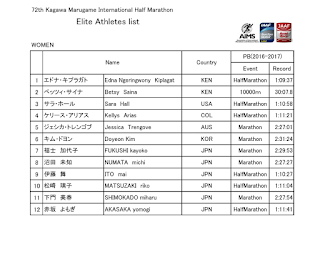 A strong elite women race with three superstars of road running like: Edna Kiplagat world marathon champion and 68:21 in half marathon, Sara Hall from USA 69:37 last year and Betsy Saina who is restarting to approach marathon. 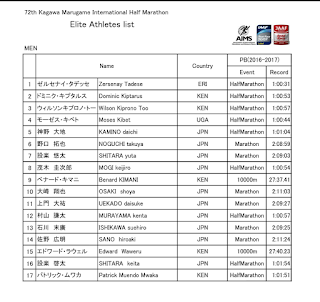 With them some of the best Japanese runners like Mao Ichiyama 69:14, Michi Numata 69:27 and Kaori Morita 70:11. 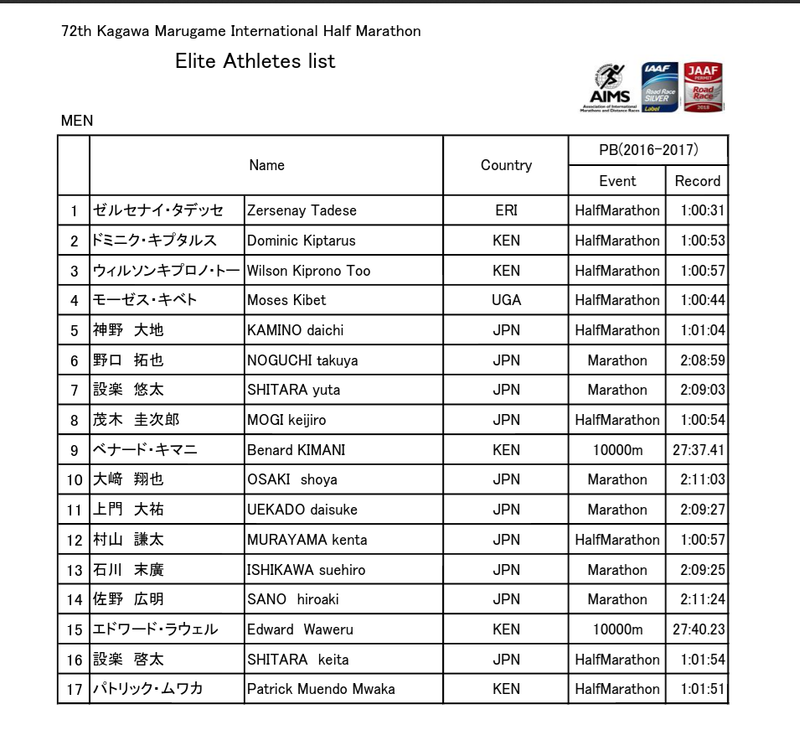 Men race presents 16 athletes under 62:00 at the starting line with the world half marathon record holder Zersenay Tadese vs some japan-based Kenyans Bernard Kimani 60:05 and Dominic Nyairo 60:50, from japan the national half marathon record holder Yuta Shitara 60:17, Tetsuya Horoizaka 2nd of all-time in 10k Japanese list at his debut in this distance and Masato Kikuchi 60:32.